Oliver’s Labels has some beautiful holiday decals. I received some in the mail the other day and couldn’t wait to get them on the walls, and then I couldn’t decide where I wanted them to go. 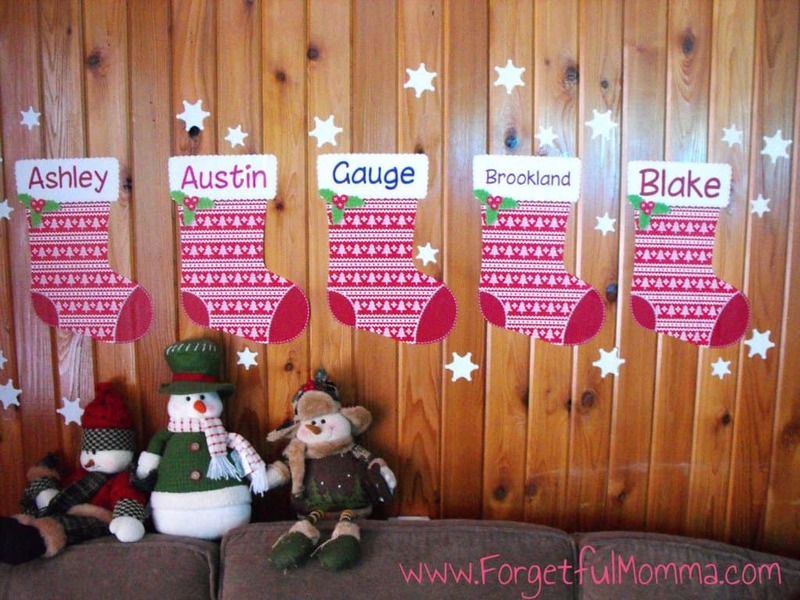 I put the stockings up myself and then had Austin join in on the fun. Santa’s Village comes with 75 decals. Beautifully created, beautiful designed. A toy shop, Santa, his reindeer, his sleigh, and elfs, as well as snowflakes and snowballs. Austin and I had so much fun arranging them on the wall in our living room. These stockings are, as the Santa Village, beautiful. Customization for the names from the color to the font with 20+ fonts to choose from. Also can have first and last name, on them as well. Each stocking comes with 30 snowflakes. I don’t have them up on the wall surrounding our stocking. I just love them. They are a great size, the stockings aren’t much smaller than our actual stockings; they aren’t thin either but a sturdy material to allow for placing on your walls and removing for future use. I think they make a great layout for where Santa should be leaving the filled stocking Christmas Eve night. 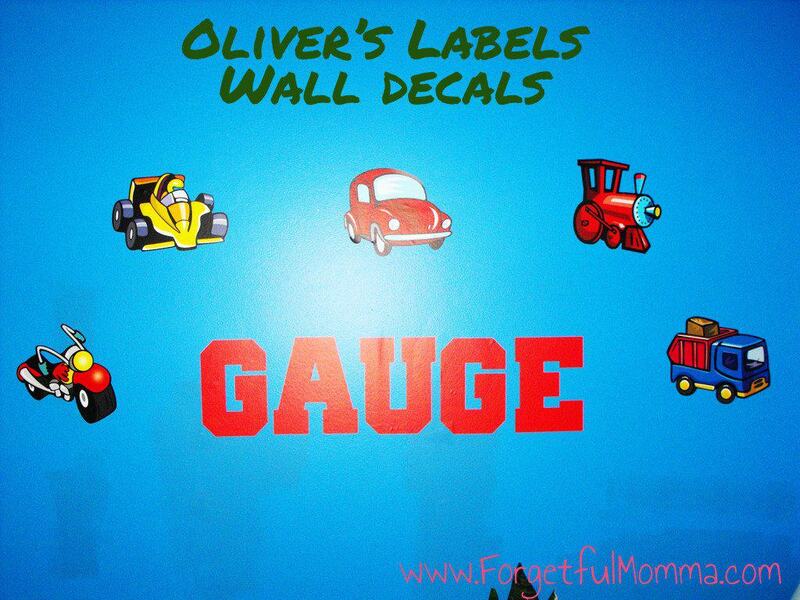 Hubby picked out the Transportation Name decal for Gauge’s room, and customized the name how he wanted it to look with complete color choice and 20+ fonts to choose from.I only just this morning decided where I wanted his name wall decal to go. Over top of his dresser. It looks so amazing on his blue wall. When you are customizing it for your wall, you can pick the wall color that it is going on, so you’ll know exactly how it will look. 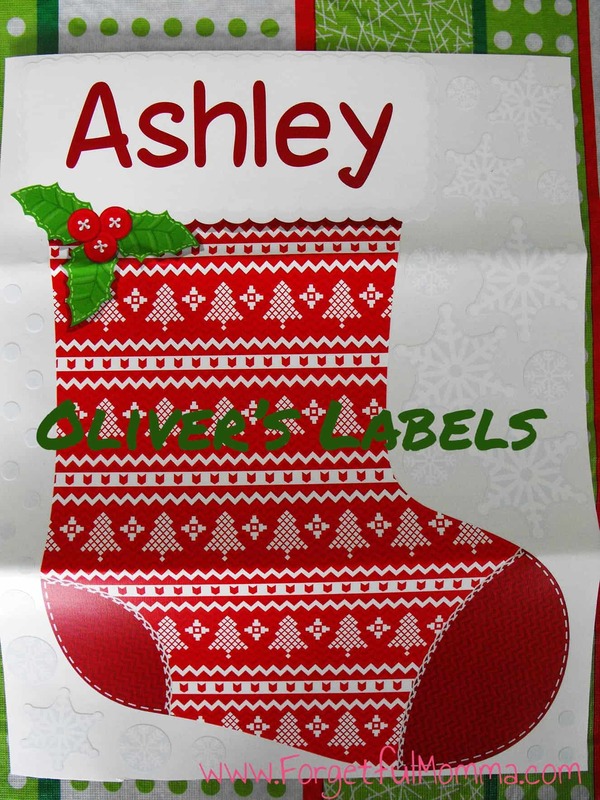 You can check out more from Oliver’s Labels on their Facebook page, Pinterest and on Twitter. They have many great products available besides the wall decals such as clothing, safety bands, totes, item labels and more. 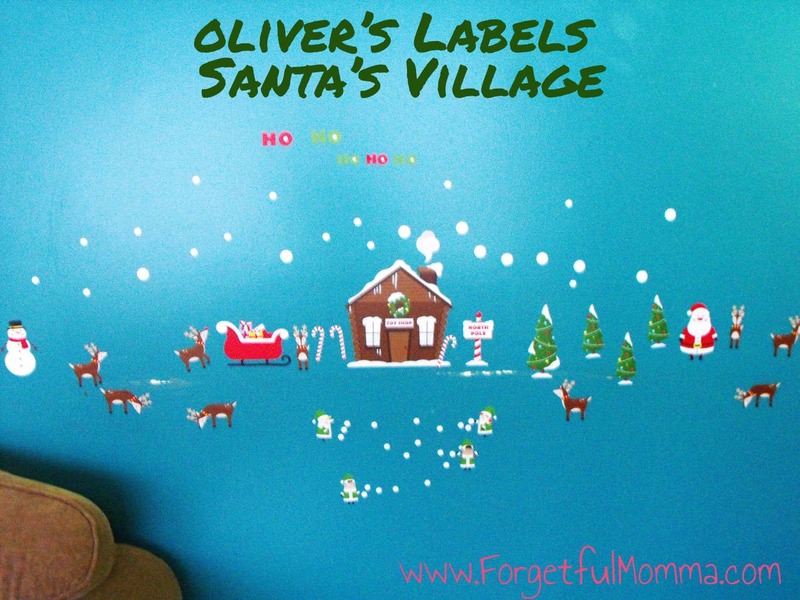 Disclosure: I was sent this decals from Oliver’s Labels for this review. All opinions are honest and 100% my own. I would buy a back to school pack. Stick-eez™ Clothing Labels. We always need them. I would buy the Pantry Labels.